Actis portfolio company Pine Labs, a merchant platform company in India, has signed an agreement to acquire Bangalore-based gift card solutions provider, Qwikcilver, for $110 million, subject to closing conditions. The transaction has been funded from the company’s cash reserves and additional funding from existing investors. Actis is committing a further $30 million to the company increasing its total investment in Pine Labs to $90 million. Pine Labs processes annualised payments of $20 billion. This acquisition will bring together the strengths of Pine Labs’ merchant-focused and Qwikcilver’s software-as-a-service (SaaS) technology platforms, and augment their Indian and international market reach. The combined gift solutions business will be the largest in India with a customer base of over 250 brands and retailers, and 1500 enterprise customers. 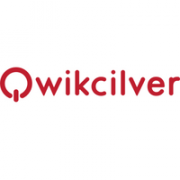 Qwikcilver, which was founded in 2006, is a full-stack gift card service provider, powering nine out of every ten gift cards in the country and managing an annualised gross transaction value of $1.5 billion across India, Middle East and South East Asia.